Nestled in a quiet subdivision close to town and country. Walk into this well-maintained home and see the nice sized kitchen with pass through window to the living room. Laundry is easily accessible right off of the kitchen. Above the washer and dryer are large cabinets for extra storage. 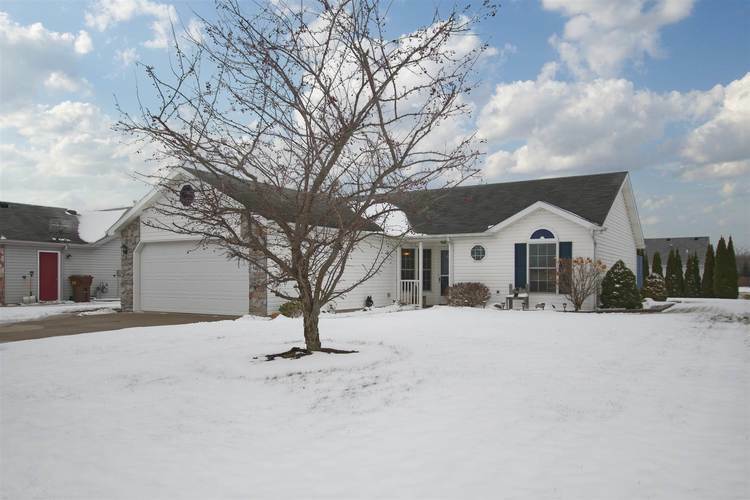 This property has an attached 2 car garage which everyone appreciates during these winter days. With the mechanicals located in the garage, more space is available in the home. Wow! Wait until you see the living room with vaulted ceilings. The split floor plan features a master bedroom with walk in closet and en suite. The other two bedrooms are nice sized and share a full bath. Neutral colors throughout make decorating a breeze. Love outdoor entertaining? This home offers a nice, large deck and shed. This adorable home won’t last long! Directions:SR 8 east to CR 35, N. to Elaine St. turn west. Turn left at Lori Lea, property on the right.